Night At The Museum 3 Goes to London in Secrets of The Tomb! 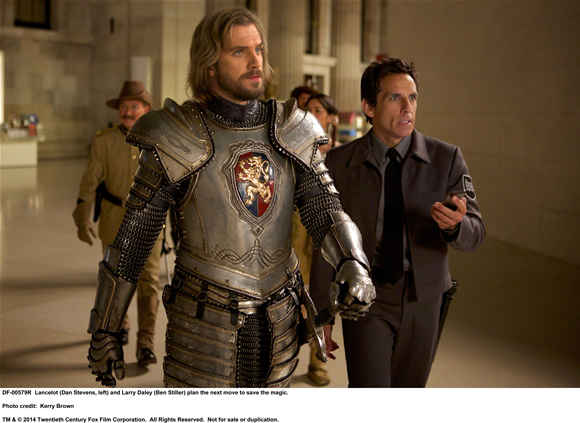 A host of familiar British faces are featured in the latest Night At The Museum movie starring Ben Stiller…most specifically former Downton Abbey star, Dan Stevens as Sir Lancelot looking quite dashing in his shining armor! Knight in shining armor, Dan Stevens as Sir Lancelot! Night at The Museum: Secret of the Tomb is scheduled for a December 19th release. Lady Anglophile…commissioning a portrait of Sir Lancelot for her boudoir! This entry was posted in Home Page Posts, Lady Anglophile Reviews & Other Bits and Bobs and tagged Dan Stevens, Night at The Museum. Bookmark the permalink.